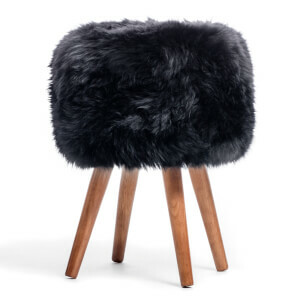 Add a luxurious, unique accent to your bedroom with the Royal Dream Sheepskin Stool. 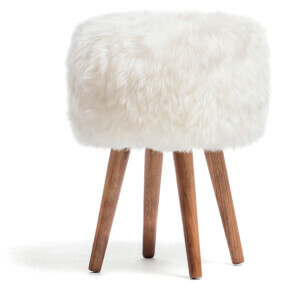 The quirky stool has four solid oak legs and a sheepskin cover, made with 100% New Zealand sheepskin. Soft and sumptuous to the touch, the natural sheepskin is free from synthetic chemicals, is delightful to touch and delightfully comfortable soft to sit on. 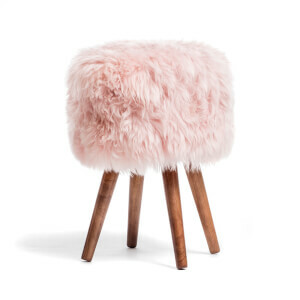 Really lovely stool for dressing table. The sheepskin is so soft!